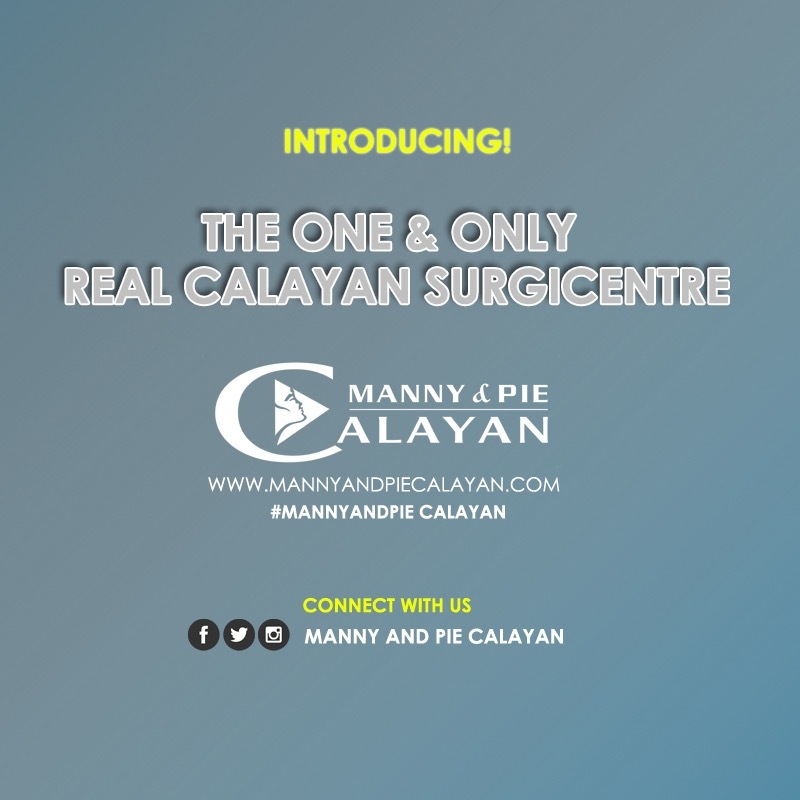 Expect 2016 to be a year of changes and big things for doctors Manny and Pie Calayan. Following a five year stay in the US where her daughters are studying, Dra. Pie returns to Manila with grand plans in tow for Calayan Surgicenter, now on its 21st year in the beauty business. The change begins with the opening of more clinics on top of the two existing locations in Timog Avenue, in Quezon City, and the other in Makati. In the offing for 2016 are new branches in Alabang, with more possible expansions outside Metro Manila, specifically in Baguio and in Japan. Next comes a planned rebranding veering away from the existing browns, blacks and dark color scheme of their current locations and giving way to cooler and more comforting pastel shades. Instead of solid walls, they plan to install more glass to allow the passage of air and light. They are also putting in new facial beds, and adding newer and more modern treatment machines. “Papalitan lahat. Our goal is to have a major makeover of the clinics and give them a new image and a fresh, modern look. So the client will feel very at home pa rin at di nila maramdaman na nasa clinic sila,” says Dra. Pie. The rebrand also includes logo re-design and re-branding from Calayan Surgicenter to Drs. Manny and Pie, who are also called “PieMann” for better recall. Along with upgrading the clinics and machines, they are also working on their online presence. This includes a fortified and improved online presence via their website, http://www.mannyandpiecalayan.com where all the information on their services and clients are included plus snippets of some of their successful campaigns featuring their famous endorsers. The Calayans will also launch a YouTube channel where Dra. Pie answers all questions on skin and beauty, among others. But the most important change happening is that the couple plans to make their approach even more personalized. Part of the more personalized approach this year is to incorporate a more vegan lifestyle into the advice she dispenses to patients. The Calayans — and Dra. Pie in particular — are avid practitioners of what she calls “alternative dermatology” in which drugs or medicine are not always the first option in treatment. Health and wellness are now prime concerns. It’s not just about looking good on the outside — the cosmetic aspect of it — but also feeling good on the inside. With this kind of approach, the Calayans are essentially re-defining beauty. But these innovations do not come with an outrageous price tag. As much as possible, says Dra. Pie, they are keeping the prices to a reasonable level.